Schulz was also invited to participate in today’s meeting on migration. 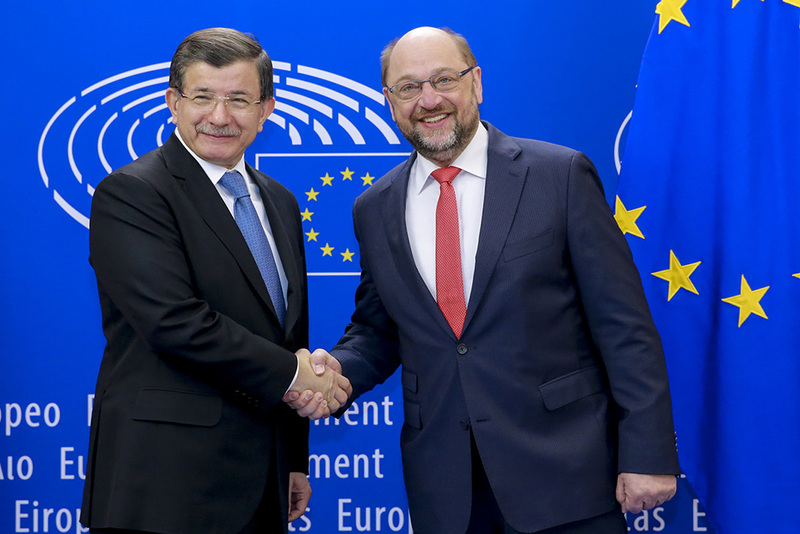 He said the EU-Turkey partnership needed to be built on mutual trust and straight-taking. He also stressed that they needed each other and that tackling smugglers and illegal immigration networks should be a priority for both the EU and Turkey. Click on the video above for more information. The President addressed journalists in the Council building ahead of today’s meeting on migration. He said solutions were urgently needed to help refugees in genuine need of protection. Click on the video for more information. Turkey is currently hosting over 2.5 million registered Syrian refugees and most of the over one million migrants and refugees who reached the EU in 2015 came via Turkey. Two delegations of MEPs from the civil liberties and budgets committees travelled to Turkey on 8-11 February to assess the situation of refugees there.